Use as a skim milk powder substitute in all your favourite recipes. Add to desserts, curries, baking, bliss balls or smoothies. Coconut milk powder is made of coconut cream that has been extracted from fresh coconuts. It is then spray dried with rice-based maltodextrin (which is a starch that carries the fat of the coconut cream allowing it to remain a powder). Coconut milk powder is high in Lauric acid content (a medium chain fatty acid) and is high in energy. 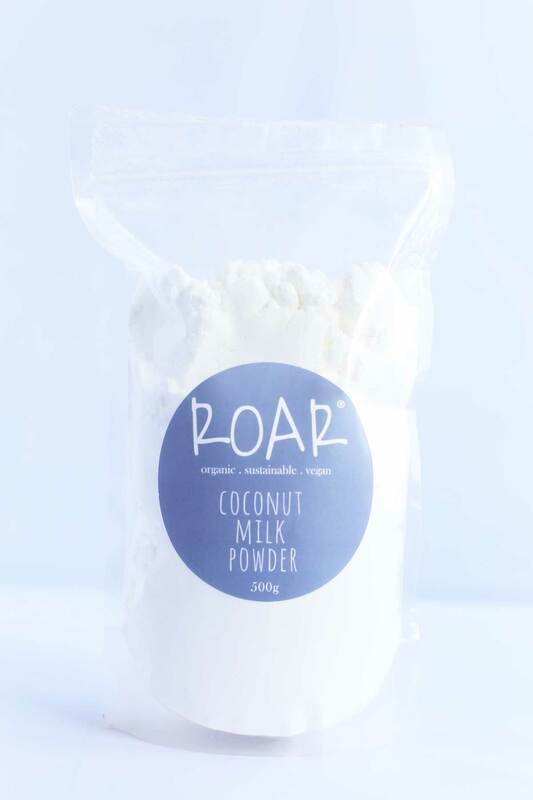 For your customers who love our best-selling ROAR Coconut Milk, but crave the convenience of a milk powder for adding instant richness and body to cooking, this is it. 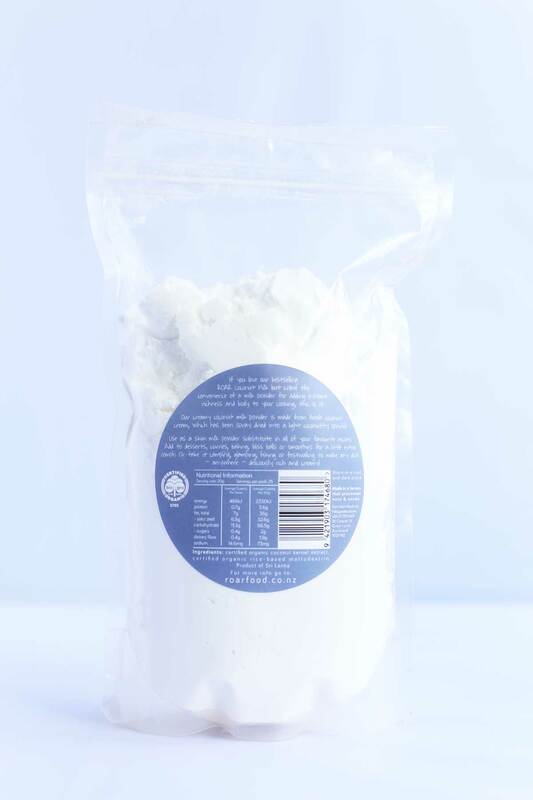 Our creamy coconut milk powder is made from fresh coconut cream, which has been spray-dried. It contains no casein (milk protein) and is 100% dairy-free with a mildly sweet coconut flavour. Use as a skim milk powder substitute in all recipes. Can be added to desserts, curries, baking, bliss balls or smoothies for a little extra oomph. It will make any dish – anywhere – deliciously rich and creamy!